(Natural News) Weeks after the Feb. 14 mass shooting at the Marjory Stoneman Douglas High School in Parkland, Fla., the Broward County Sheriff’s Department has finally released surveillance video footage of events on that day. And as many suspected, the video clearly shows school resource officer Scot Peterson, himself a Broward deputy, outside the school building at the time when students and school officials were being gunned down inside. On afternoon [sic] of Feb. 14, Peterson, the school’s armed resource officer, responded to the building where the shooting was unfolding within a minute and a half of when the gunfire started, Sheriff Scott Israel said. He positioned himself outside the building but never went in throughout the six-minute shooting, Israel said. In the released video, a man can be seen running toward a school building at 2:23 p.m., when the initial 911 calls came in, and appears to stand outside for several minutes. Both President Donald J. Trump and Israel have been critical of Peterson, and rightfully so, given that his job was to protect kids and school staff from precisely what happened on Valentine’s Day. An attorney for Peterson, who was once honored as a hero by the school, initially said he went outside because that’s where he thought the gunfire was coming from, as reported by the Los Angeles Times. Joseph DiRuzzo also said it was “patently untrue” that his client did not meet the Sheriff’s Department standards or was a coward during the attack. “Let there be no mistake, Mr. Peterson wishes that he could have prevented the untimely passing of the 17 victims on that day, and his heart goes out to the families of the victims in their time of need,” DiRuzzo said in a statement in late February. As unlikely as that sounds, this next claim makes zero sense. The Times reported further that Peterson then fell back on his training to find cover and assess the situation where he “took up a tactical position” between a pair of nearby buildings as he alerted a dispatcher of a “code red” situation resulting in a campus lockdown. There is a big difference between the sound of gunfire from inside a building and the sound of gunfire outside a building, for the record (and yes, I’ve heard both). The contact between officer(s) and the shooter should continue until the shooter has surrendered, barricaded himself, stopped (killed), or SWAT takes over the scene. And here’s another piece of conflicting information. 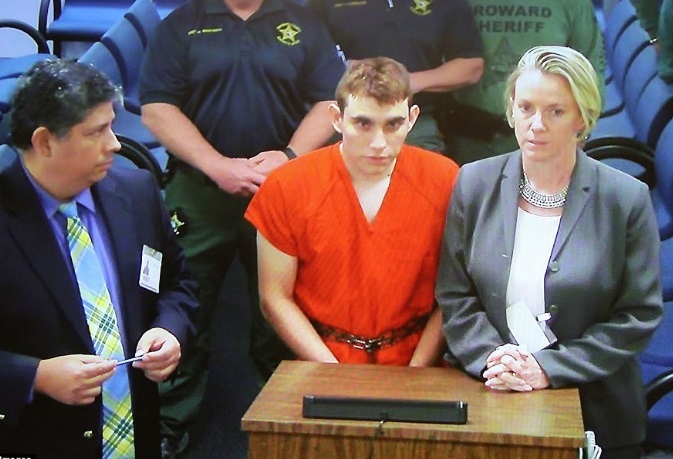 According to the Palm Beach Post, radio dispatches reviewed by the paper indicate clearly that Peterson knew shots were being fired from “inside Building 12” — where the 17 victims were murdered. Now that the video has been released, I’ve no doubt that we’re going to learn a lot more about what didn’t happen on that day that should have.